When many people think of health and safety in workplaces, they typically think of fire extinguishers, alarms, emergency exits, and workplace policies. But, workers’ health is also affected by a less obvious factor — the cleanliness of your ductwork. What does cleaning out air ducts entail, and why is it important for your organization? “Permanent or persistent water damage in ducts. Slime or microbial growth observed in ducts. Debris build‐up in ducts that restricts airflow. Dust discharging from supply diffusers. While following surface-cleaning protocols is important for helping to maintain a healthy office environment, it isn’t always enough. Dust, dirt, germs, mold, pollen and other pollutants can travel through the ductwork from one area of your office to another. As such, office air ductwork and HVAC systems should be regularly inspected for cleanliness to help prevent duct contamination issues. The Occupational Safety and Health Administration (OSHA) has ventilation standards concerning air contaminants that can lead to indoor air quality (IAQ) issues. Furthermore, the EPA also outlines immediate and long-term health effects from indoor air pollution that range from minor irritations to severe illnesses such as cancer and respiratory and cardiac diseases. Ductwork cleaning is one way to improve the performance and efficiency of your ventilation system. Removing contaminants and pollutants that build up in the system and on its various components slows down the system and decreases air flow efficiency. Duct and vent cleaning also is a great way to help extend the life of your office HVAC system, which can cost tens of thousands of dollars to replace. An additional benefit of a duct cleaning service is that it can help clean up the stale smells that frequently occur with recirculated air. Some office smells result from paint, cleaning agents, food, trash, or even tobacco products. However, not everyone realizes that dust, dirt, and mold also can contribute to unpleasant odors in workplaces across the U.S. 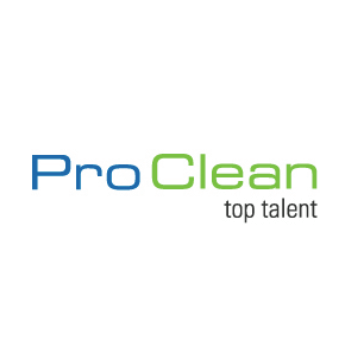 Pro Clean is a professional cleaning company serving offices and facilities for companies in the greater Orlando and Tampa Bay areas of central Florida since 1989. Ready to learn how our ductwork cleaning services can benefit your employees’ health and safety at work? Get a quote today by clicking on the link below.